In the Cape Town rave world of the late 1990s, teenagers took ecstasy in the forests and desert, as well as in the city clubs. As one of them, Olivia Gordon went to heaven then hell in her experience of taking the drug. The Agony of Ecstasy explores the quest of a godless generation to find meaning in a materialistic world. For searching, impressionable young people, drugs are becoming a religion; the basis of their moral code. 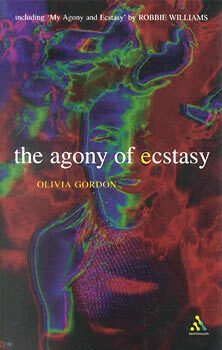 Olivia found herself questioning the ideals of ecstasy culture: ideals of drug-induced love, happiness, unity and beauty. This is Olivia's harrowing story of her eighteen-month recovery from an ecstasy-induced depression, during which time she started to rediscover meaning in her life. Never judgemental and brutally honest about the pros and cons of ecstasy, this book is a must read for anyone who has taken the drug, and for concerned parents who need an objective account from someone who writes from personal experience. The English daughter of two Oxford dons, Olivia Gordon returned to her family's South African home when she was seventeen years old. Having read English Literature at Cambridge University, Olivia now lives in London. She has written for a number of newspapers and magazines, and this is her first book.